When a gold mine required resolution for an abrasive slurry transfer duty they turned to Slurrypro. An initial order of two 8x6 SlurryPro pumps and a 4x3 pump were supplied with the legendary 331 liners and impellers suitable for the most abrasive slurries. After three years of successful operation the process plant underwent a number of design changes which affected the required flow from the pumps. 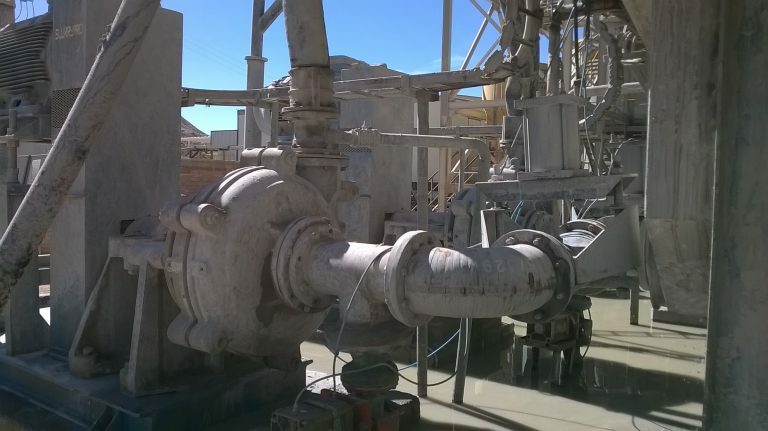 All Pumps - the local Intrax company - was able to work with the process plant manager not only to resize the pump drive to adjust to the new duty point but additionally optimizing wearing part life.